Plastering & Rendering services and more. 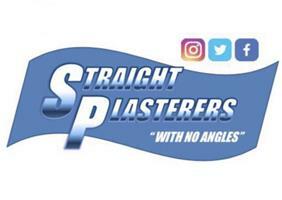 Straight Plasterers is a small business that was started around a year ago But I have had experience in plastering for more than seven years. We are a fully insured which makes us ideal for our clients, providing a service that relieves them from the stress of finding a recommended tradesman. With combination of years of experience and continuous learning gives us the correct skill set to carry out the work as well as provide the professional advices if needed. Our plastering & rendering services spans from the domestic to commercial sites. We also provide a building services that covers a range of areas from bathroom and kitchen installation, k-rending, and screeding. Straight Plasterers goal is to provide our clients with the best customer service to establish a relationship of trust, honesty and clear communication to ensure a successful outcome for whatever project we are working on.